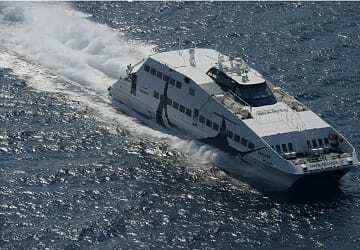 The Tinos Rafina ferry route connects Cyclades Islands with Athens and is currently operated by 3 ferry companies. 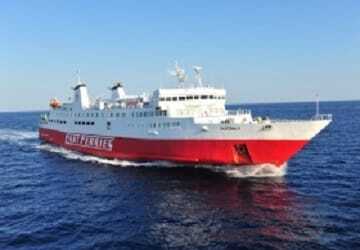 Cyclades Fast Ferries operate their crossing up to 3 times per day, Sea Jets 4 times per day & the Golden Star Ferries service is available up to 3 times per day. 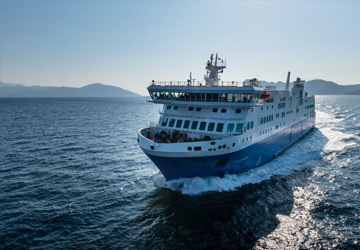 There are a combined 10 sailings available per day on the Tinos Rafina crossing between Cyclades Islands and Athens and with 3 ferry companies on offer it is advisable to compare all to make sure you get the best fare at the time that you want to travel. Prices shown represent the average one way price paid by our customers. The most common booking on the Tinos Rafina route is a car and 2 passengers. I booked a business class fare (VIP). The crew were courteous, the lounge very pleasant, and the tip quite relaxing. I would have preferred the complimentary drink to have been a welcome drink rather than one that was served much later. All in all, a nice experience. It would have been better if the timetable hadn't been modified. Punctual, confortable, nothing to fault, it was perfect. "Good, but a few drawbacks"
The crossing went well. We were in the business lounge sitting in confortable chairs. However, to enjoy the view, you need to be among the first to arrive. You need to go down 2 or 3 flights of stairs when you arrive (there are no escalators) It's not very practical when you carry 2 heavy wheeled suitcases.